Join us to learn more about the value of love and harmony in your life. Our sessions and bible study provide personal empowerment, love, and spiritual self-awareness. Our faith-based organization also offers a free monthly brunch for all who want to come eat with us. In Duncanville, Texas, the Firmament Of Love Outreach Ministry offers our prophetic and apostolic ministry, bible study, and a monthly brunch to raise the spiritual consciousness of visitors in the Dallas County area. A multicultural group, we bring people together in peace and love. Our ministry is run by Elder Arbie Hobbs and his wife, Prophetess Arria Hobbs. It is our wish to usher people back to God through our own love of the Lord. We work with love and will do whatever we can to answer people's needs. This is also a traveling ministry. 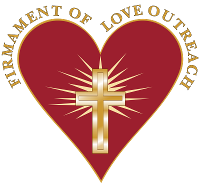 Firmament Of Love Outreach Ministry is a faith organization geared towards helping people from all walks of life, helping people by uplifting their spiritual consciousness as well as their self-awareness. Giving people tools to help empower and encourage how to love God, themselves, and all people throughout society. Learning to live a healthy lifestyle by learning to live in love, peace and self-control, and hopefully resulting in being the best person they can be.